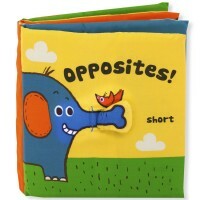 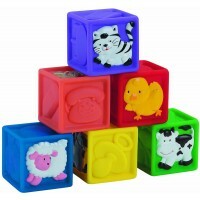 Learn sequencing, find fun textures and sounds, develop motor skills - all with adorable Mix n Max soft stacker by Alex. 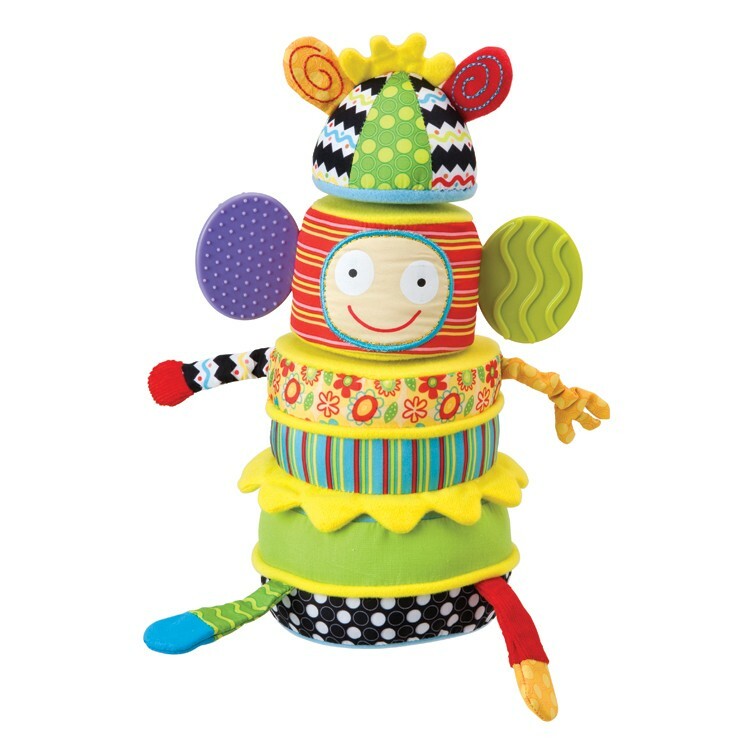 Stack Me Up and take me down! This soft stacker will keep little ones busy putting pieces on top of each other and discovering the textures and patterns of each one. 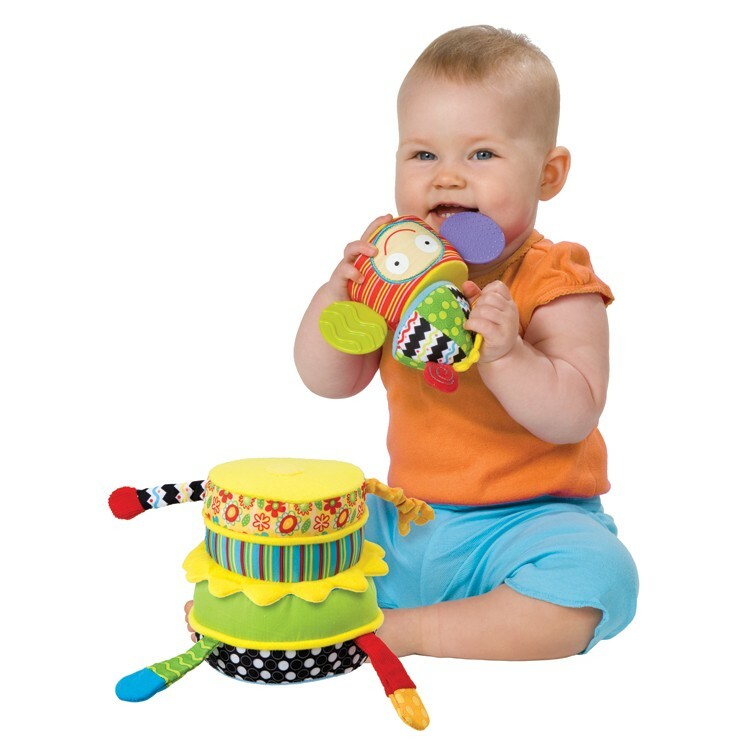 Pull the stretchy arm, grab by the teether ears and more. 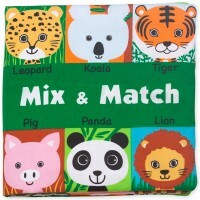 Lots of bright, fun colors and patterns for visual stimulation. 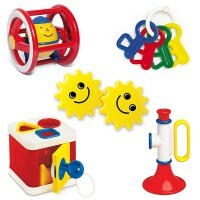 Helps babies learn sequencing and develops motor skills. 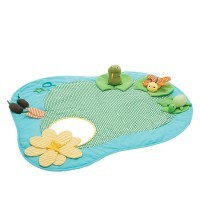 Surface washable with a damp cloth and mild detergent. 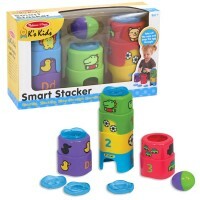 4 soft stacking pieces connect easily with hook and loop. 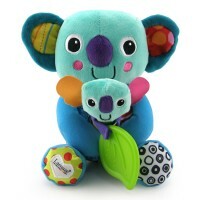 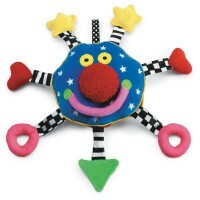 Includes squeaker, rattle, stretch arm, teether ears and crinkly legs. 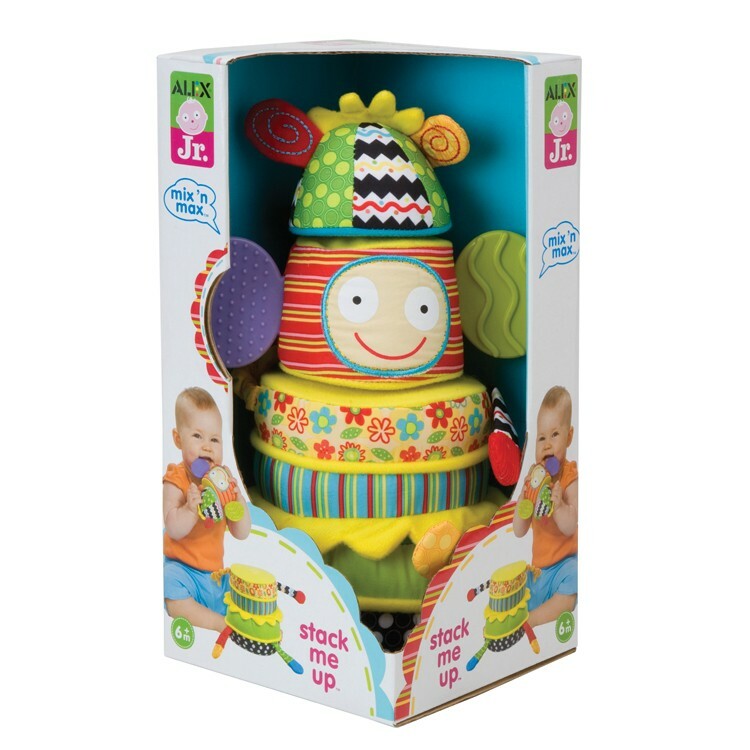 Dimensions of package 12" x 22" x 6"
Write your own review of Stack Me Up Baby Soft Stacking Toy.